If you're reading this, you evidently are already proficient in how to use a computer. However, if you're like me, you probably already know someone who could use a little instruction. Luckily for us, the Edison Branch (18400 Joy Rd.) of the Detroit Public Library is here to help with a free class on basic computer skills. This class will happen this Saturday, October 8, from 10:30 a.m. until noon at the library. Participants in this class will learn computer basics such as the components of a computer and its terminology, how to use the mouse and keyboard as well as how to navigate in a Windows based operating system. 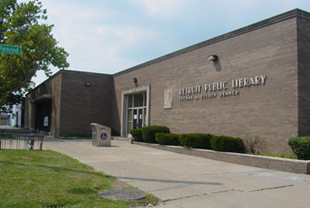 Computer literacy at Edison Branch of the Detroit Public Library is your Cool Warrendale Thing of the Week.